The Big Brother Insider: 'The Talk' Returns to 'Big Brother' House! 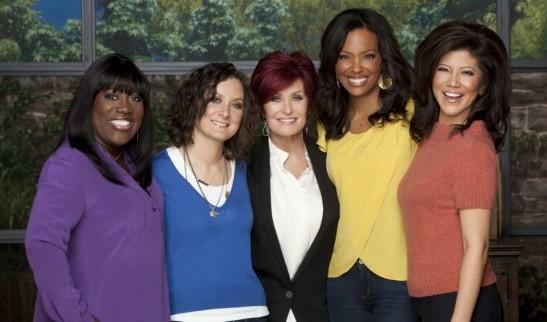 'The Talk' Returns to 'Big Brother' House! Source: CBS - The Co-Hosts of CBS's 'The Talk'. The 'Big Brother' house is going to have some chatty new guests in residence prior to the show's premiere in July. That's because host Julie Chen and her pals from her day job, 'The Talk', will be moving into the lavish digs to film their own 'Big Brother'-type competition. "Late June as we are dusting off the 'Big Brother' house and before we throw the real houseguests in, the five of us are moving in and we're playing a fast-forward version of the game," Chen tells Yahoo! TV exclusively. So how long will Chen and her 'The Talk' co-hosts Sharon Osbourne, Sheryl Underwood, Aisha Tyler and Sara Gilbert live in the reality show digs? "We don't know," teases Chen. "They're going to unlock the doors and then…" Osbourne interrupts, "Throw away the key!" It will be just be the ladies involved in the competition – they won't bring spouses or children during their stay. "No, it's just us," says Chen. "We have to compete. No kids. No distractions." Well, maybe one. "I can't bring Bella?" asks Osbourne, referring to one of her 10-plus dogs. "Okay," Chen concedes, "but there's going to be a penalty. You can bring Bella if you only eat slop." While details about the CBS cross-over are still being worked out, fans of the 'The Talk' will get to see the footage this summer on the daytime series. "The premiere date of 'Big Brother' is July 12, so that afternoon is when you'll likely see us and see how we did," Chen says. Don't forget you can Find us on Facebook & Twitter!